1000 Faces Coffee now offers catering! 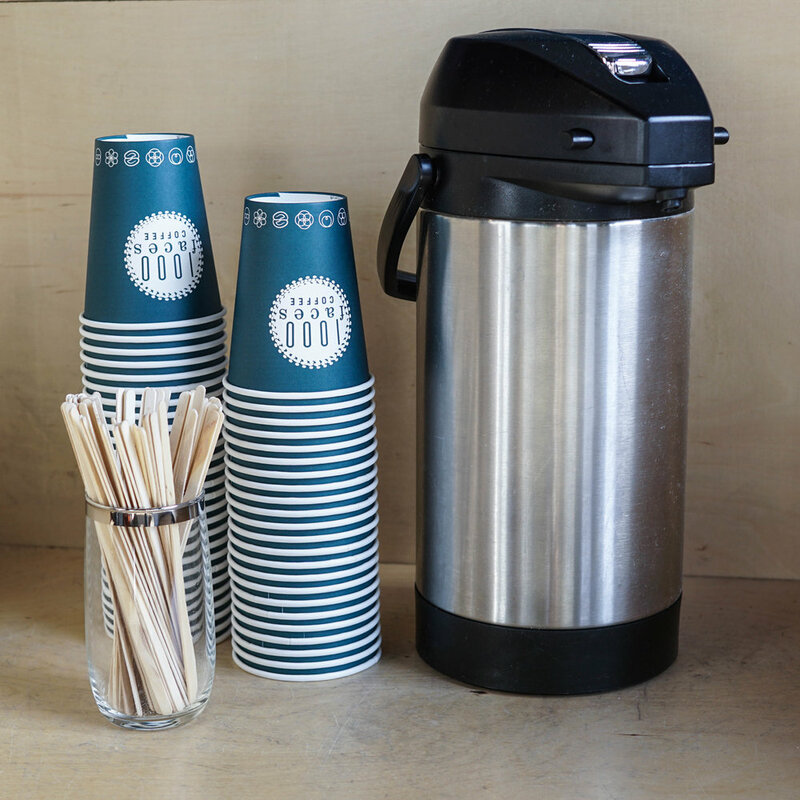 Have a big meeting or event that requires coffee? We provide many different options to fit your needs. Please fill out the form below to book our services for your event. When filling out the form, please include the time and date of your event and when you are available to pickup. If you have questions about catering, feel free to contact us by email or phone. Our cafe space is also available for after hours events, with espresso and coffee services. Please contact us by email or phone for more information. For an additional $6, we will provide cream, sugar, and cups. If you need to serve more that 50 people, we have a Cambro option available for $90. Please includes date and time of event, or any special requests with orders.